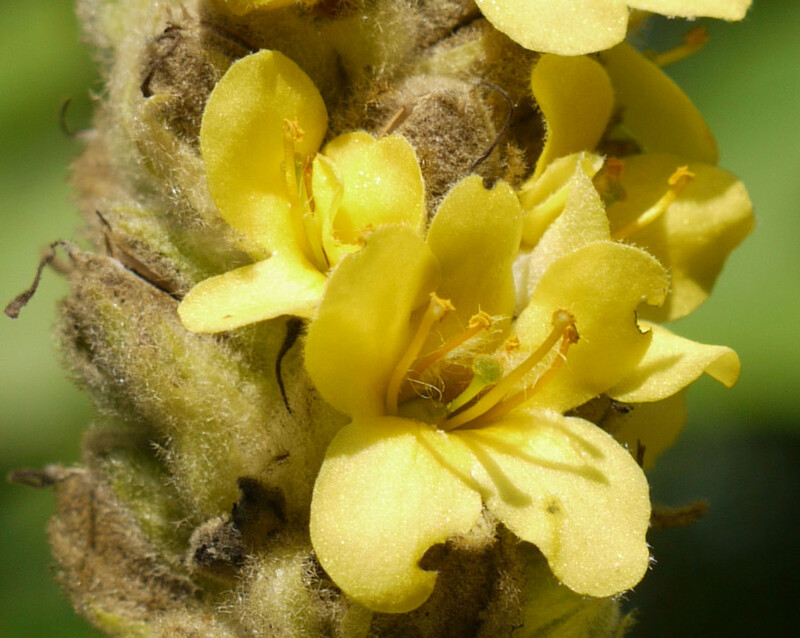 The flower of Common mullein (Verbascum thapsus) is quite striking when you look closely at it. This next photo shows a newly flowering spike. 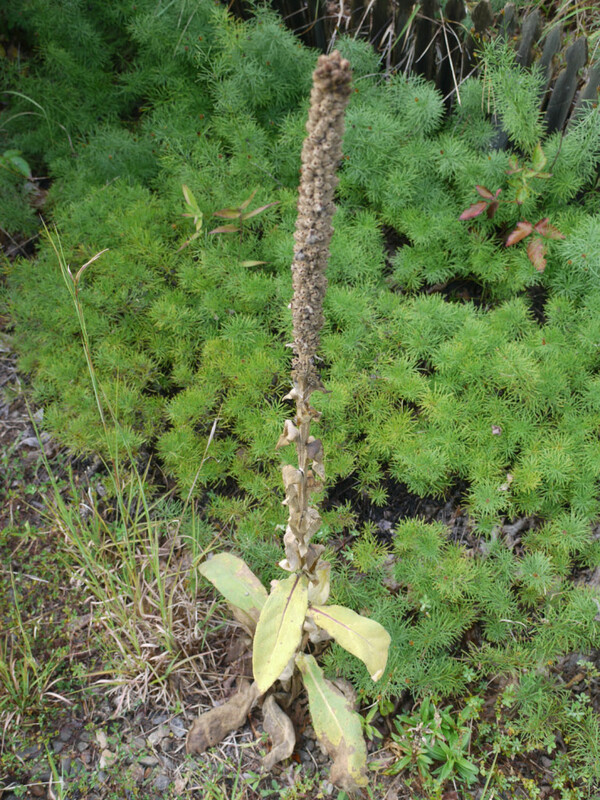 Depending on environmental conditions, the Common mullein may be a short plant with a single flowering spike . . .
. . . or it may be a tall plant with several flowering spikes by the end of its two-year life. 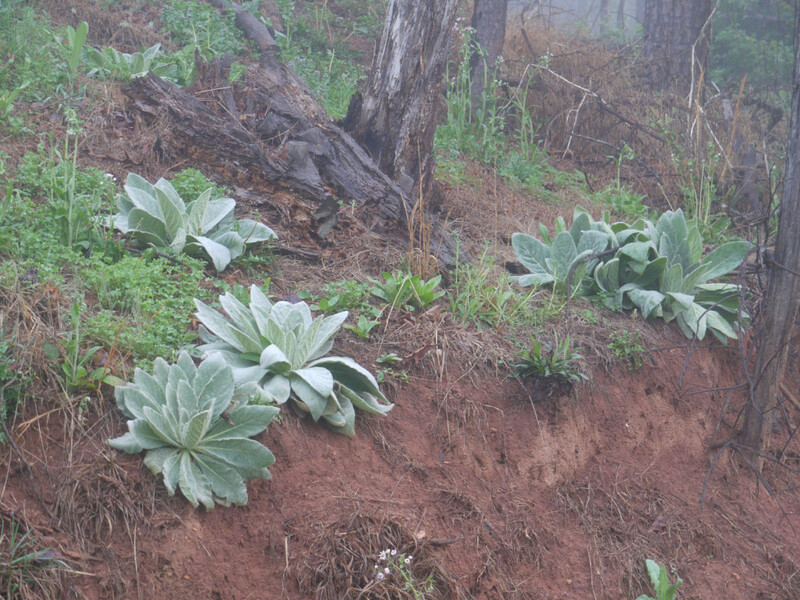 A group of Common mullein plants in early morning fog create a magical scene. The moisture beads on the leaves — producing a silvery look. 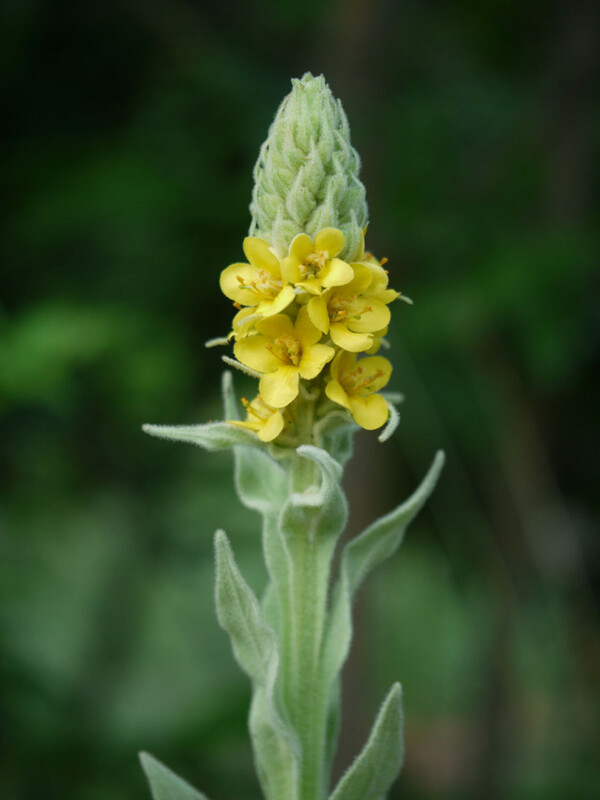 Watch this video for dozens more photos — with a narrative — of Verbascum thapsus. We follow a single Common mullein plant for more than a year of its life. Angelyn, this is marvelous! Thank you so very much for the videos. They are such a great idea and so helpful. You are doing wonderful work and we thank you! Margaret, you are welcome. And thank you for the feedback. It’s good to hear that the videos are useful. A very usefull film. Thank you Angelyn. God bless you. I’m excited to see if my Mullein comes back this year! 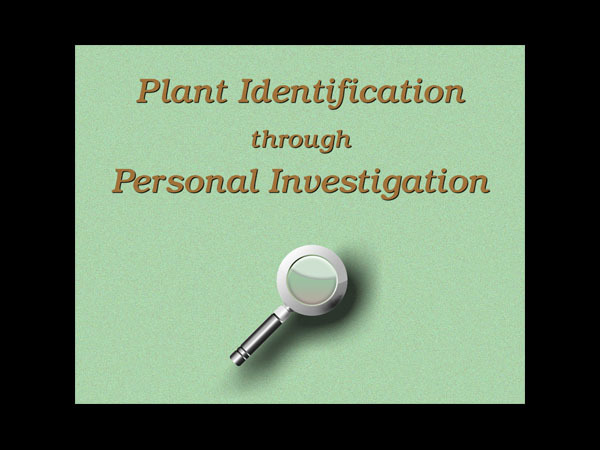 When is the best time to harvest the plant for consumption? 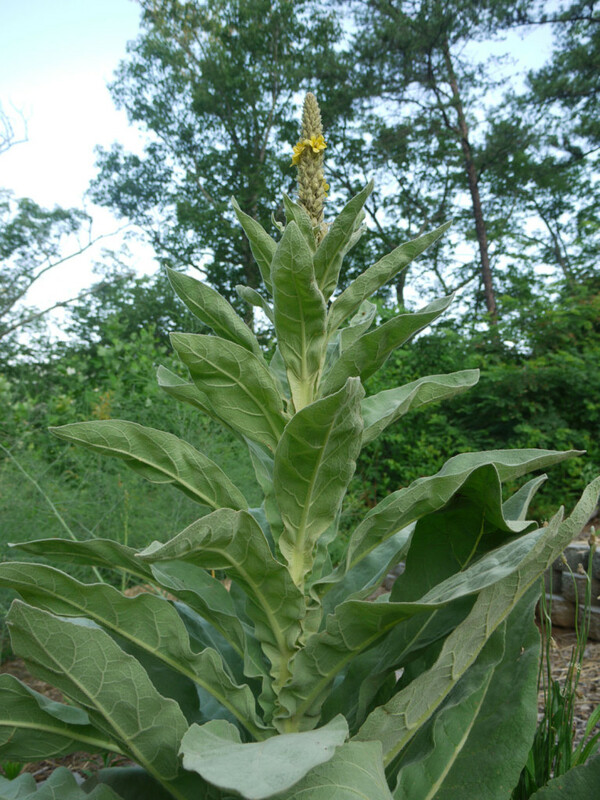 I have never eaten Common mullein and would not attempt to do so. Therefore, I cannot answer your question. Thank you for the video. There is a vacant lot next to my home and at least 20 of these plants sprung up. I was so curious of their beauty I had to find out more. I live in Nova Scotia and have never noticed them before.